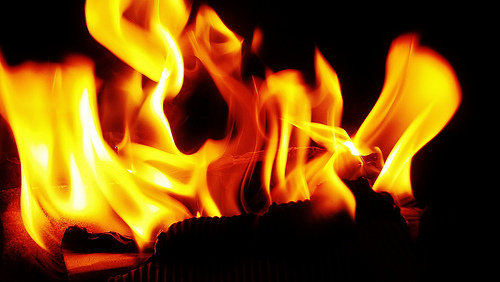 A Life Coaching Moment: 3 Steps to Create Some Fire! One of my first steps as a Life Coach is to build your excitement about where you are going. When you are excited about where you are going, and I mean really excited, the actions become MUCH easier, follow through becomes more effortless, and your life unfolds beautifully. We need to help you access that deep desire, that thing that will get your fire lit! Create time for you. I want you to schedule in time to work on yourself, your dream. It does not need to be much, but it does need to be purposeful, and regular, time for you to think about you. 10 minutes a day or 10 min a week, whatever. Just create the time and start. Then, cross them off and write what it is you DO want for each one next to it. It might be the exact opposite of what you don’t want or it might not. This is called creating clarity through contrast. Check your “What I Want” list and be sure it is phrased in the positive — what you WANT, not what you don’t want. From the list of what you want, create a life story from it. What kind of life would have all of those things in it? What does a day look like? How do you spend the bulk of your time? Where do you live? With whom do you spend your time? I am also attaching a very powerful tool for you. Please listen and imagine what it is saying. Is it time to make a change? YES! I know you are ready, we just need to light a fire under you and the best fires are those that involve a dream that is wonderful, that makes all the work totally worthwhile. Frankly, in one of the most challenging times of my life, I found that truly not wanting to be where I was at the time was the initial fire. I so wanted my life to change that I knew I would do anything. While I began there, I found that the more actions I took, the more the life I really wanted began to percolate out. You know what you want, my dear, we just need to connect you to it. To know it is possible for you. I know you are ready.